Live stream France vs Croatia FIFA World Cup final NOW! It's finally time for the 2018 FIFA World Cup final! One month and a day after Russia 2018 started, it all boils down to France vs Croatia. Oh, World Cup 2018 - we'll miss you, but we still have a huge climax to one of the most spellbinding FIFA World Cups in living memory to enjoy. And you've come to the right place to find out how to live stream every last joyous, heartbreaking minute of France vs Croatia in the Russia 2018 World Cup final absolutely free and regardless of where you live. The Russia 2018 FIFA World Cup finals are taking place over 64 matches, in 16 venues, across 13 cities - from Kaliningrad to Yekaterinburg. So it's France vs Croatia then. Probably not the final anybody had expected when Russia 2018 kicked off a month ago, but arguably the two best teams at this year's FIFA World Cup. Didier Deschamps' France would undeniably be uttered in that breath. Kylian Mbappé has lit up the festival of football, ably assisted by the likes of Antoine Griezmann and the incredible defensive work of N'Golo Kanté. France blew Belgium away in the semi-finals and will go into Sunday's final as obvious favorites. But Croatia's midfield axis of Luka Modrić and Ivan Rakitić has been the linchpin of a very talented side and a lot of fans' dark horses at the start of Russia 2018. Add in the threat of striker Mario Mandžukić and wily attacking of Ivan Perišić, and you have an eleven that could still seriously test the French. If you want to know where you'll be able to see the France vs Croatia World Cup final, we'll tell you exactly where you can watch it online. And if you're looking for a free live stream, we've got that key information for you, too. If you know exactly what station you're hoping to catch the game on, then you don't need us any longer - head straight there. If you're not sure, just stick with TVPlayer.com in the UK. It will be showing all the games. Want to record the game and catch it in your spare time? TVPlayer Plus carries a £5.99 monthly fee but let' you 'record' up to 10 hours of TV to watch at your leisure. And you can take advantage of its 14-day free trial, too. The UK's two main free-to-air channels - BBC and ITV - are sharing out the World Cup final coverage - you can take your pick. That obviously means you can make the most of their respective iPlayer and ITV Hub apps if you're looking to watch on your phone or tablet, too. Fox Sport is the official US broadcaster of the FIFA World Cup final. Assuming you have cable, you'll be able to watch on Fox either at home, online or on the network's Fox Go app for tablets and smartphones. If you're a cord cutter, you can alternatively watch on another subscription service such as DirectTV, Sling and Fubo - each of which has a free trial. Logging in to another nation's broadcast is also a great option using a VPN following the instructions above. So if you love the commentary and coverage in the UK, for example, you can catch up with that instead. CTV/TSN is the official Canada broadcaster, so you can spend this summer dividing your time between watching the football and praying that you'll qualify for the 2022 tournament for the first time since 1986. The CTV Go app will let you watch...well, on the go. Not got cable? Well don't get disheartened. Instead, scroll this page upwards and check out how to use a VPN to live stream the free World Cup coverage from another location. If you've read the rest of this article, you probably know the alternative route by now. You could give a VPN a try as per the instructions above. You won't find this competition anywhere else on the web - it's strictly exclusive to TechRadar readers - and if you don't take the top prize, five runners up will receive a free year of Vypr VPN instead. All you need to do is head to the competition page, complete the entry form and you'll be in the prize draw (full terms and conditions can be found on the competition page). It's an open goal! 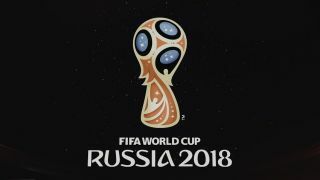 A VPN will enable you to watch every 2018 World Cup fixture from literally anywhere - even if it isn't being broadcast in that country. So that obviously includes all the competing countries and anywhere else on Earth you might be: Argentina, Australia, Belgium, Brazil, Colombia, Costa Rica, Croatia, Denmark, Egypt, England, France, Germany, Iceland, Iran, Japan, Mexico, Morocco, Nigeria, Panama, Peru, Poland, Portugal, Russia, Saudi Arabia, Senegal, Serbia, South Korea, Spain, Sweden, Switzerland, Tunisia, Uruguay and many more! The ability to live stream all the football to your phone or tablet is undeniably useful - you don't have to miss a single goal, even if you're out of the house. But if you want to stream the World Cup from the internet to your TV, then picking up a streaming box might be useful. Check out our guide to the best streaming media players, where the likes of Apple TV, Roku and Amazon Fire are all included. But it's worth noting that the trial is on a first-come, first-served basis as the BBC is continuing to run the World Cup in 4K experiment as a trial for now. And many viewers have already complained about dodgy UHD coverage via iPlayer.